Prospecting never stops in the real estate profession, even for those who have discovered successful lead sources for realtors. 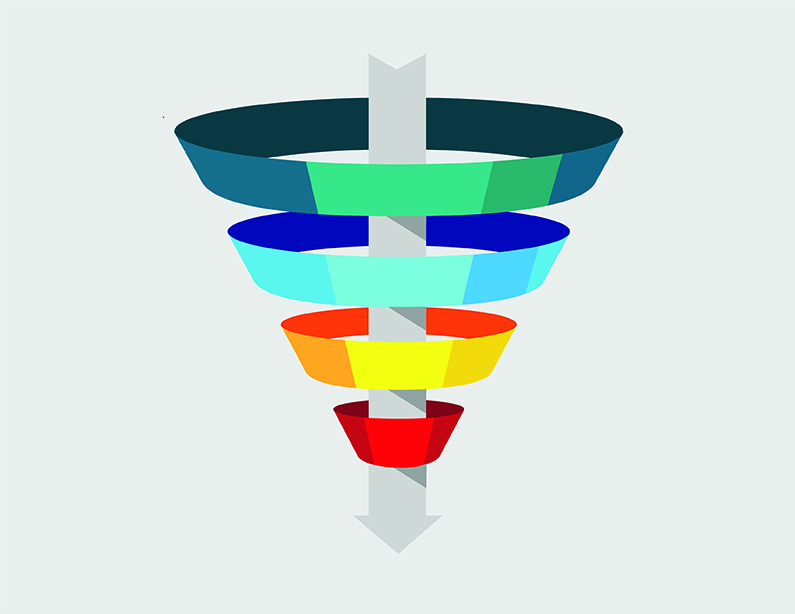 Every now and then, though, you might hit a dry spot in your lead funnel – no matter how many sources you use to generate leads. What’s a real estate agent to do? Get more leads, of course! Check out these 13 tried-and-true lead sources for realtors that every real estate professional should be utilizing. People in today’s world are understandably nervous when they hear a knock on their door and aren’t expecting someone. But if you typically do business in a nice, safe neighborhood, this is still a good option to get your name (and face) in front of potential clients. Another oldie but goodie that’s still a valid tactic. We’re getting the old school ideas out of the way first, but that’s because they’re still successful strategies in many markets. Since you don’t have everyone’s email address to send them a monthly e-newsletter, direct mail is still the best option to reach a mass audience/prospective client base. By far the best way to get new clients is when past clients sing your praises and refer you to their friends and family. But one good interaction isn’t necessarily enough. It’s important to stay in touch, if not regularly, at least via a monthly or quarterly e- newsletter so you’re always top of mind. Don’t expect them to turn right away and employ your services immediately – no matter how good your presentation. Be patient and respectful of their decision to sell their home via this route, but also tactfully show them your value so, if they decide to hire an agent, they’ll choose you. Another great, albeit challenging, resource. Take a similar approach to these prospects as you would with FSBO prospects. Don’t trash their prior agent, talk down to them about why their home didn’t sell or pump out your chest and make promises you might not be able to keep. Simply show the value you’d provide by charting out a pricing and marketing plan for their home and see how they react. Many agents take their previous clients and client list with them when they leave one brokerage for another. But what if they forget? Not only is it a ready-made list of people who are likely already interested in employing an agent’s services, but your relationship with an agent they previously spoke with could help you get your foot in the door. Simply put, if you’re not already using social media, you’re missing out on a key lead source. Whether it’s Facebook, Twitter, Instagram or another platform, the possibilities are endless. Social media is a great tool to market yourself, while the advertising options are far cheaper and more direct than traditional avenues. Despite the power and reach of social media, traditional marketing and advertising channels still have their place in your search for leads. The ROI might not be great on some options such as a massive billboard along the highway, but it’s still worth searching for and using cheap, cost-effective options to get your name out there. Consider social searching the new version of door knocking and cold calling. Twitter’s search function, as detailed in this Inman piece, makes it the best social media platform for “cold calling.” Some examples: Search “(city) condo,” “(city) house” or “moving to (city).” You’ll find plenty of ready-made prospects; all you have to do is reach out. Although their success in selling the home is probably negligible, open houses are a fantastic way to get leads. Sure, you might get some nosy neighbors who are just checking out a home they haven’t been in before. But you’ll also get a pool of leads who, while maybe not quite ready to buy or sell a house, are at least in the browsing stages. How you conduct yourself and market the listing in their presence could leave them impressed and make them think of you when they finally decide to make a move and want to sell their house. Think about other professionals you interact with within the larger real estate industry, such as home builders and mortgage lenders. If you recommend their services to your clients or others in your sphere of influence, chances are they’ll remember and return the favor. Think about websites such as Zillow Premiere Agent, where your advertisement gets you a prime location on their site, and check out this list of other options. Are you a real estate agent looking for tools that will help you save time? Learn how the ShowingTime Appointment Center helps free up your time to focus on other tasks to grow your business. Join the thousands of people who get the ShowingTime newsletter. It's our best advice and latest news in your inbox. Sign up for ShowingTime’s weekly blog digest to get fresh content delivered straight to your inbox.